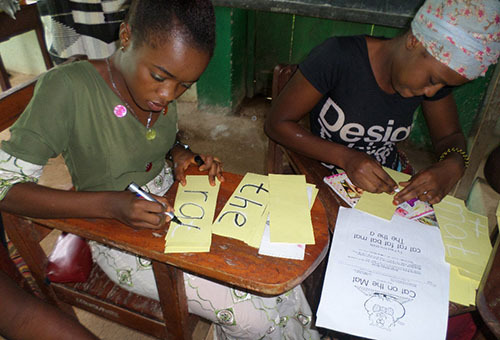 In August 2015 Fantastic Phonics was asked by Cause Canada, an aid agency working in Sierra Leone, to be involved in training approximately 60 trainers in Sierra Leone. 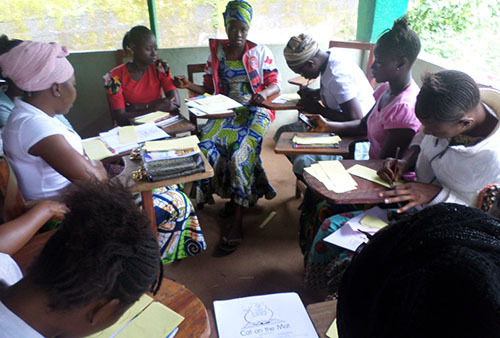 Because of the highly contagious disease EBOLA, there is a difficulty in getting trained teachers into Sierra Leone. Accordingly, CAUSE Canada adopted a system where older schoolgirls would be trained in Fantastic Phonics and these young women, generally around 16 years old, would mentor and teach younger girls, using Fantastic Phonics. Fantastic Phonics training team was about to embark on a full-scale national implementation of the program into Fiji, and the wet season in Sierra Leone meant that travel around the country was impractical, so the initial plan was to structure training of the teachers using SKYPE. We commenced training Alpha and his team, but we quickly saw that SKYPE was too slow, and connection was intermittent. Instead, we used the SKYPE sessions to evaluate the level of understanding the teachers have of phonics, and how we were able to harness their enthusiasm to produce real results. The Fantastic Phonics team discussed the possibly of creating video training sessions and sending them to Sierra Leone in time for their training sessions in a week. The plan was to structure the videos around the observed literacy abilities of the teachers, and effectively duplicate the core parts of the Fantastic Phonics workshops in the videos. We produced 20 videos to teach "Fantastic Phonics, Series One", with a number of other videos to explain phonemic awareness and alphabet knowledge. We combined the videos with a toolbox of training resources and were careful to develop the package to suit the culture of Sierra Leone. The training occurred on time (otherwise the wet season makes roads impassible) and we will continue to work with Cause Canada to expand the training package for Series Two and Series Three. 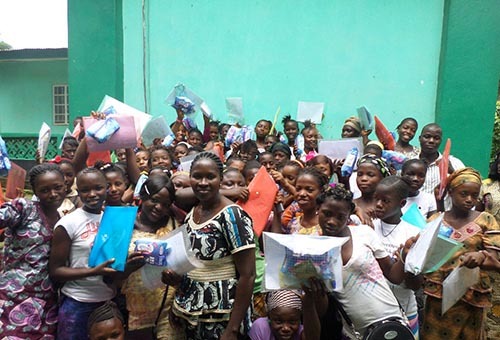 The photographs on this page capture the excitement of the Sierra Leone teachers to finally receive a proven, successful phonics reading program.